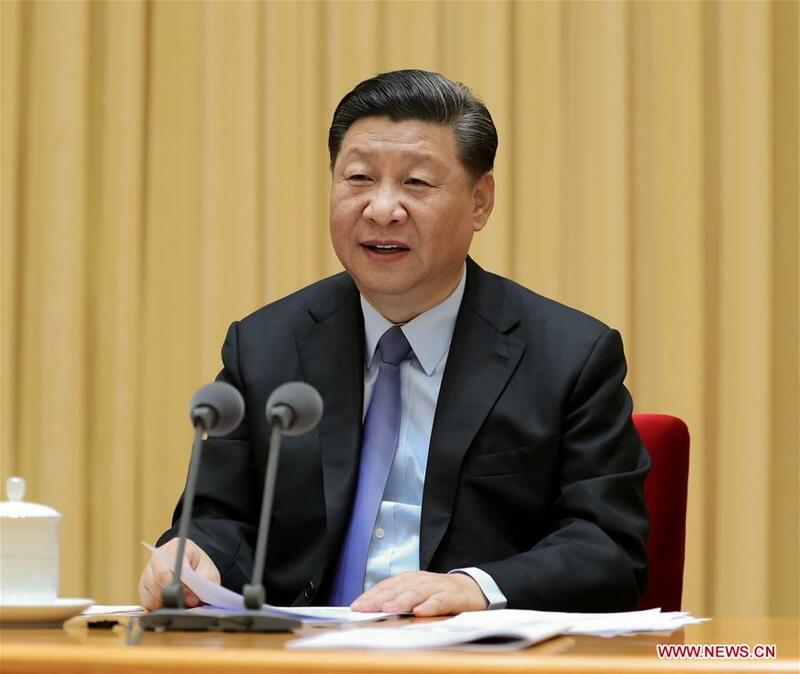 BEIJING, Sept. 10 (Xinhua) -- President Xi Jinping has stressed following the path of socialist education with Chinese characteristics to nurture generations of capable young people well-prepared to join the socialist cause. Xi, also general secretary of the Communist Party of China (CPC) Central Committee and chairman of the Central Military Commission, said young people should have an all-round moral, intellectual, physical, and aesthetical grounding with a hard-working spirit. Xi made the statement at a national education conference Monday, which marks the 34th Teachers' Day in China. He extended congratulations and greetings to teachers and other education workers nationwide on behalf of the CPC Central Committee. It's imperative to uphold Marxism as a guiding ideology and stick to the path of socialist education with Chinese characteristics, Xi stressed, adding that schools should adhere to the socialist direction. Xi called on the CPC and society to promote the social norms of respecting teachers and valuing education. He stressed enhancing the political, social, and professional status of teachers so that they can enjoy their due social prestige and make greater contributions to the cause of the Party and the people by imparting knowledge and educating people.